In the second season of Ash vs Evil Dead, Ash found himself partnering up with Ruby, when she lost control over her demon-spawn children. While the trio of friends was living a happy life in Jacksonville, it soon became clear that more adventures were in store for them, when it was a possibility that an even greater evil wandered around the Earth, namely Baal. When finally defeating this foe, the team lost a member, and the only way to fix this was to use the Necronomicon’s spells on Pablo’s deceased body in order to travel back in time. Upon righting the wrongs of the past, Pablo was again an intact member of the party, but a lot of unanswered questions remained, as going back thirty years in the past did bring Pablo back alive, but didn’t really change the other occurrences in our present day. Those who died were still dead, all that happened still happened, and all the things that should have been fixed remained damaged, which was surely a weird ending for the second season. That being said, it seems the third season does have a new adventure in store for us, even though Ash and his compatriots thought evil had been slain once and for all. The third season starts off with Ash (Bruce Campbell) starting his own hardware store, as ‘Ashy-Slashy’ is now the hero of the town. 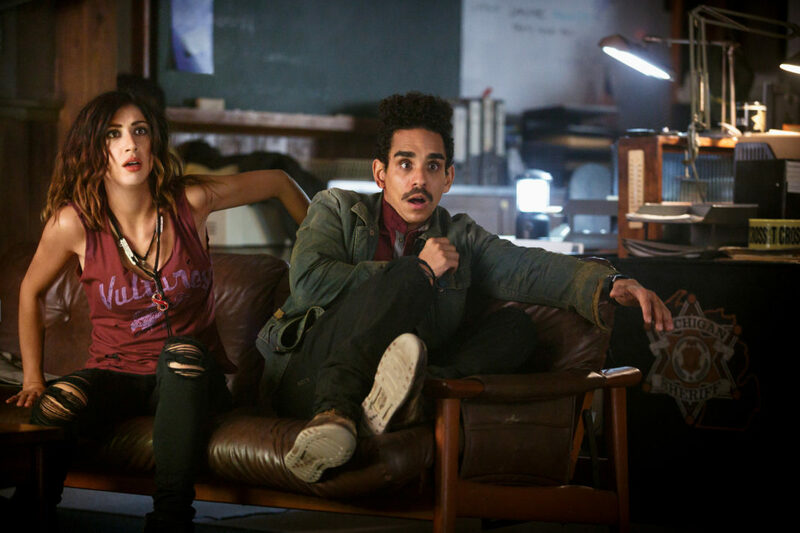 Together with Pablo (Ray Santiago) he forms a formidable sales team, all while Kelly (Dana DeLorenzo) is hanging out with people that still believe evil walks this Earth, something Ash and Pablo believe that is finally not the case anymore. Sadly, this season would be redundant if nothing happened, and before we know it, some random girl finds the Necronomicon, which is read aloud by an appraiser on national television. Not only does this unleash evil once again, it also attracts the attention of Ruby (Lucy Lawless) who is rather fast to claim the book as her own. It doesn’t take long before she sets her newest plan in motion to rain down evil upon the trio of demon slayers, making Ash’s hometown a target (again). Ash and Pablo are swiftly confronted with new deadites, who happen to plague the town’s school. While this would normally not befall Ash’s ears, he is contacted by his wife Candace Barr (Katrina Hobbs), a woman he hardly knows and once married in a drunken adventure. She comes bearing the news that monsters are roaming the high school and that Ash has a daughter named Brandy. Ash is quite skeptical at first, but when Candace is disposed of by a deadite, Ash has no other option than to take the teenager in, who isn’t all too keen on learning more about her deadbeat father. 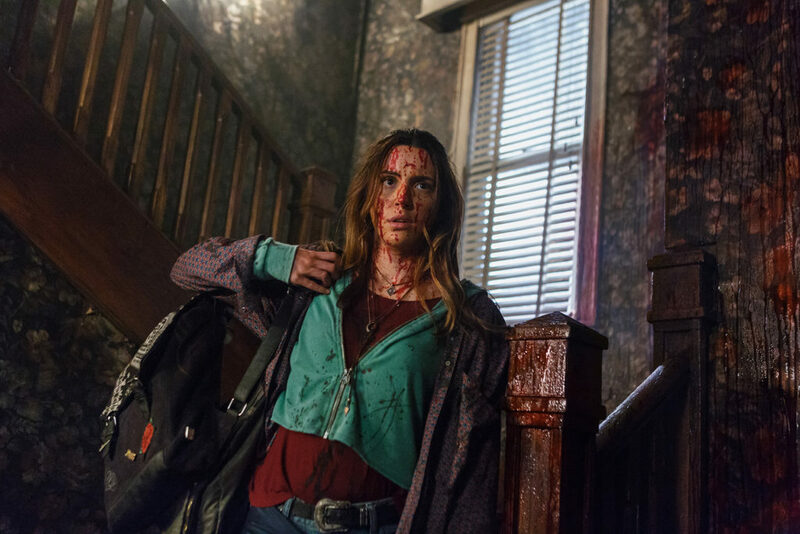 The flow of this third and final season of Ash vs Evil dead is more along the lines of the first season, which means more than enough action, blood, gore, guts and story elements to keep you entertained. The second season had a slower pacing and was a bit more bland, but this season picks up the pace and keeps things interesting from start to finish, and it actually makes Ash a bit more responsible now that he has learned that he has a daughter. While the open ending when the credits start rolling might disappoint some fans, it’s still a fun season that does have a ‘certain ending’. Overall you’ll certainly be entertained, even if the second season was somewhat disappointing in nature. It was quite clear that Bruce Campbell didn’t want to be the solo star in this show, as he is pushing sixty and thus he can’t pull off many of his old antics without his age showing. The jovial actor does a good job of allowing his co-stars to share the limelight with him. This season introduces Ash’s daughter Brandy, who is played by Arielle Carver-O’Neill. This young actress pulls off the part perfectly, as she goes from a bratty teenager to a very likeable character that does feel like she could be the daughter of Ash. Ray Santiago and Dana DeLorenzo provide the perfect support, and their characters become increasingly more important, allowing them more solo scenes than in the previous seasons. Lucy Lawless goes from ally in the second season to main antagonist in this third season, which is somewhat fun, as she proved to be a great adversary, but it also limits the world of Ash vs Evil Dead, as there could have been more significant baddies. Even though this is the final season of Ash vs Evil Dead, we were quite disappointed to see that the Blu-ray edition only came with a few extra features. Safe for a short season overview, there were two minute features about each episode and the thoughts behind them. We’re sad that this is the ending of Ash vs Evil Dead, but the third season packed a proper punch that proved to be a worthy ending to the series. While the series still has an open ending, some things have been decently concluded and there’s still a glimpse of hope that a real ending might be made someday soon. 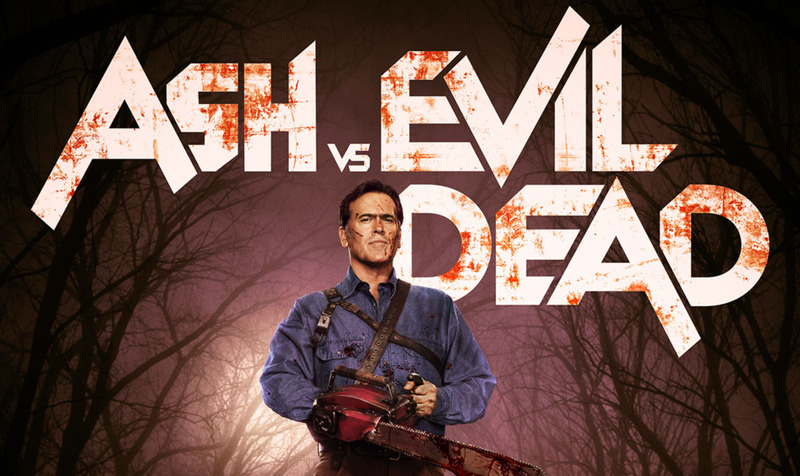 Nonetheless, if you were a fan from the first minute, this series proves to be a worthy investment for your horror (comedy) collection as this might actually be one of the last times we see the badass Ash Williams in action, as Bruce Campbell isn’t getting any younger. All hail to the (retired) king baby!